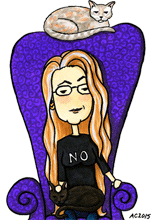 I meant to finish and post this last week after the Floating Gallery closed, by my body had other ideas. I’ve had a horrible head cold, and slept through most of the week. 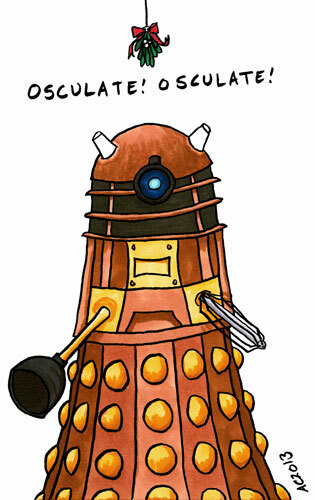 I’m only just recovering, so please do forgive the lateness of this Dalek. He’s giving up his usual cry of “exterminate” in favor of some holiday spirit! 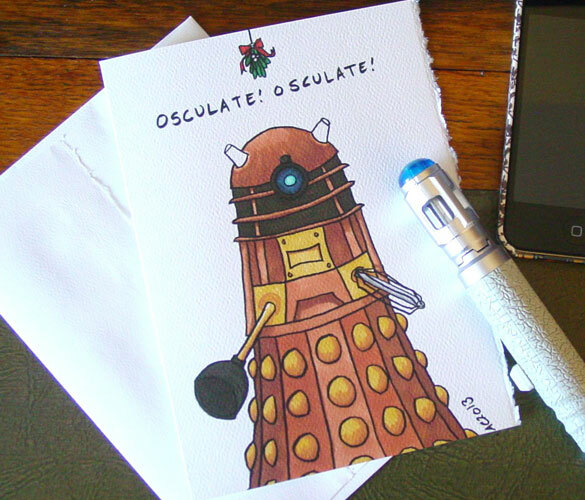 Osculate means “kiss,” so he’s just demanding you give him his due and kiss a Dalek under the mistletoe. I’m sure it won’t kill you. Osculate! 5″x7″ pen & ink and Copic marker on paper. Get him on a holiday card at my Etsy shop!